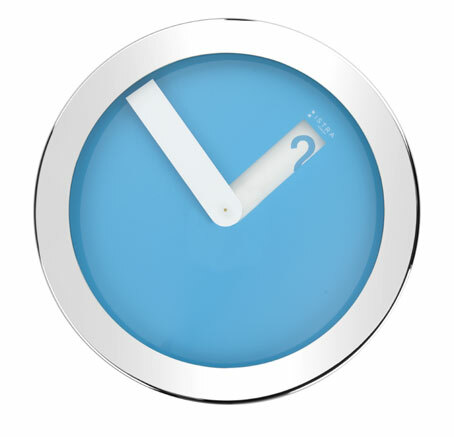 Reminiscent of soft white clouds floating through a clear blue summer sky, this stunning clock displays the hour numerals through a slit cut into the face. Different and completely unusual, our time piece will delight the eye with its modern design and soft shades. The stainless steel case is hand polished to a high metallic sheen, offsetting the blue. Sized at 23cm diameter, this clock is ideal for a kitchen nook, living room or a study wall.